Trade finance is often presumed to be a service solely for importers, it is often referred to as "import finance". However it can also be used to help you purchase goods from suppliers who are based in the UK. A better name is perhaps "purchase order finance". It is not exclusively for imports - any UK purchases have the potential to be funded and you can discuss your particular requirements with our specialist advisers. Trade finance for UK purchases can be just as helpful to your cash flow, as it is to importers. It allows you to pay your supplier to terms, for goods provided to you, whilst your enjoy a credit period before having to repay the finance. This gives the opportunity to turn the goods around and sell them to your customers in order to generate funds from the goods in order to repay the funding and release your profit margin. You can access this kind of finance based on the financial strength of your business (which can enable you to purchase to stock) or you can combine purchase order finance with factoring - such that the factoring facility repays the purchase order finance - extending your credit further. This methodology will allow access to trade finance for companies that do not have such a strong balance sheet, providing you have orders from customers of acceptable standing, prior to purchasing. In this way, the finance is based on the strength of your customers, rather than the strength of your own business. 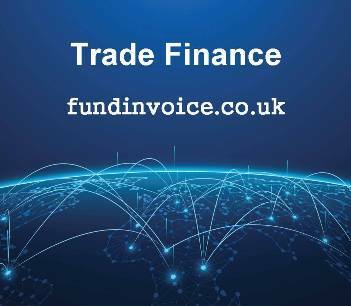 You can read a full explanation of how trade finance works and we would be happy to put you in touch with providers that can help you finance purchases from within the UK (as well as those from abroad). You might also be interested to read a recent case study about the benefits of using a trade finance broker to find you the right facility, even in a situation (such as the one explained in the article) where the customer had already been declined for a facility by a lender that they had selected themselves.